Common Figured Sarsnets' and 'H. Juke 1834'. This inscription is, however, later than the book since there are samples inscribed 'B.H.P.' and the change in partnership took place in 1790. 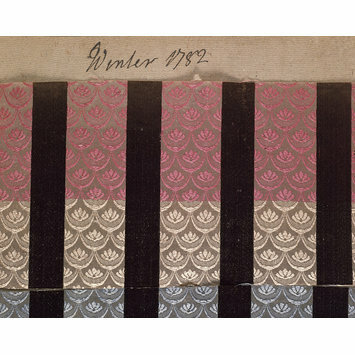 There are 334 pages, all dated, containing the spring and winter seasons silks produced by Batchelor, Ham and Perigal. A few alien samples have been stuck into the book by later owners. 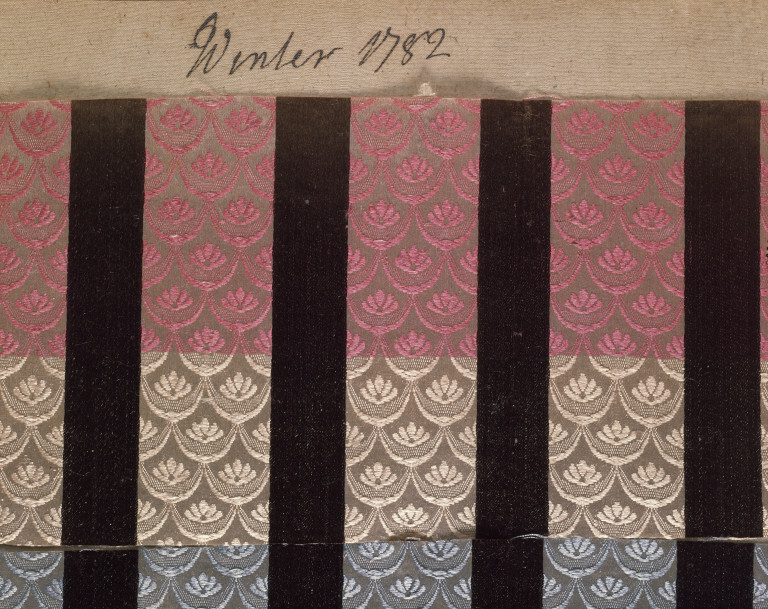 N.Rothstein, Silk Designs of the Eighteenth Century, V&A/Thames and Hudson, 1990, p. 254.